Tritan Flavor Infuser Sport Bottle - 26 oz. 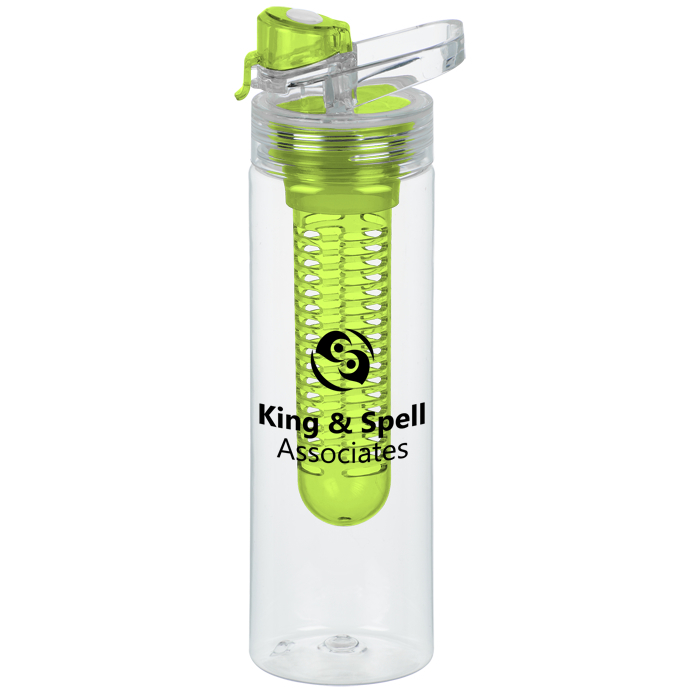 Infuse this imprinted bottle with your promotion! 6 color(s) to choose from! 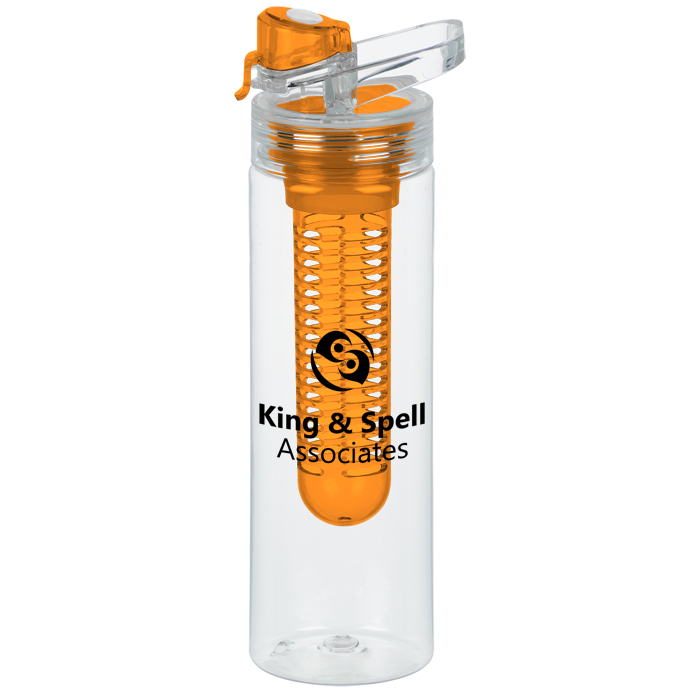 Hydrating just got a whole lot tastier with this flavor infuser sport bottle. The removable infuser makes it easy to add fresh fruits, veggies or herbs to give your drink a dash of flavor. Easily infuse strawberries, cucumber, lemons, limes, mint leaves and more to your water. Or use this bottle without the infuser for other sports drinks or ice water. Screw-on lid with a rubber stopper and flip top cover over the drinking spout helps prevent spills and leaks. Lid also features an integrated handle for easy carry. Bottles and lids are clear with your choice of colored infusers that coordinate with the flip top drinking spout cover. Durable Tritan material is impact and shatter resistant for long-lasting use. This BPA-free sport bottle is made from #7 plastic, which can only be recycled in a few limited areas; check locally for more information. Your price includes a one color imprint on both sides of the bottle. * Excludes art preparation time, applies only to orders of 300 items or fewer.